Film noir means “black film,” but we can only see darkness, so to speak, in the presence of light. In classic noir cinematography—pioneered by John Alton and Nicholas Musuraca, among others—this meant the careful placement of low-angle light sources, flashing signs, swinging lamps, bars of shadow cast by bannisters or Venetian blinds, to create a jagged, high-contrast web of black and white. 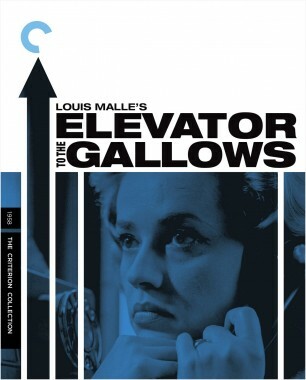 In 1958, when Louis Malle made his debut feature, Elevator to the Gallows, cinematographer Henri Decaë broke rules and new ground by shooting at night with only the available light from shop windows and neon signs, for the legendary scenes of Jeanne Moreau wandering the streets of Paris. The result was a very different but equally iconic vision of the allure and menace of the night city. Elevator to the Gallows is a particularly ruthless, coldly mechanistic version of the tripped-up-by-fate story. An adulterous couple, Julien (Maurice Ronet) and Florence (Jeanne Moreau), plots to kill the woman’s husband, then everything goes wrong because of accidents as petty as a forgotten rope, as impersonal as a security guard shutting off a building’s power at closing time, and as senseless as the bungling of a stupid, amoral pair of kids. At times, it seems that what the movie is really about is simply the operations of light. Julien is just bringing his lighter to the tip of his cigarette as the elevator he’s in goes dark—a cruel and witty visual joke. Julien’s desperate, doomed attempts to escape from this trap have a mesmerizing abstract beauty: the flame of his lighter gleaming on strips of metal as he examines his accidental prison; the spiraling fall of a burning cigarette pack down the dark elevator shaft; a pulsing lamp that makes the metal cage into a silently pounding heart. Other scenes are illuminated by the flashlight beam of a night watchman, the streetlamps along a highway haloed by mist, the hot bulbs of a police interrogation room turning the background into a flat black void. It is fitting that photographs—“drawn by light”—play a key role in the plot. The final scene is set in a darkroom, where we see an image of Julien and Florence appear magically in a developing bath. It is the only time in the film that we see them together, so the pictures of them smiling, embracing, are poignant as much as incriminating. When Julien fails to show up for their appointed meeting at a café, Florence searches for him all night, the anguish of suspense sending her into a kind of trance. The shadows she walks through are real, not sharply drawn by well-placed lights, but grainy pools of murk. Hazy white light spills from windows in which figures move like bleached ghosts. The smeary trails of neon signs, the blur of passing cars and crowds, the cluttered reflections on windows, the way Moreau herself goes in and out of focus as she moves, were all errors by the standards of classical cinematography. They let us feel the humid, rainy night, smell the wet asphalt, exhaust, and stale liquor. As the camera strolls alongside Florence, and Miles Davis’s coolly detached, desolate score sighs around her like the breeze stirring her hair, we feel her weary, numbly shattered despair. 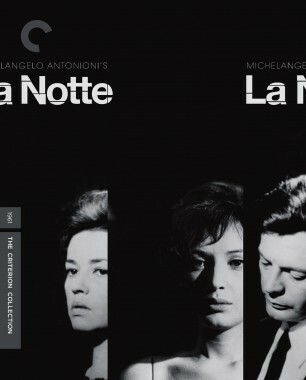 As Moreau proved again in Antonioni’s La notte (1961), few actresses could do more with just walking around. Sensually feminine and almost insolently confident, her walk (beautifully celebrated in Terrence Rafferty’s memorial tribute) gives the sequence its rhythm and connecting flow. Her face is minutely expressive and at the same time beyond reach: absorbed, inward, yet also abandoned; haunted and, as the night progresses, a little bit mad. Moving through crowds, eyeing patrons in bars and men playing pinball, she is utterly isolated and set apart—except for the camera, which like a dancing partner follows and responds to her every move. 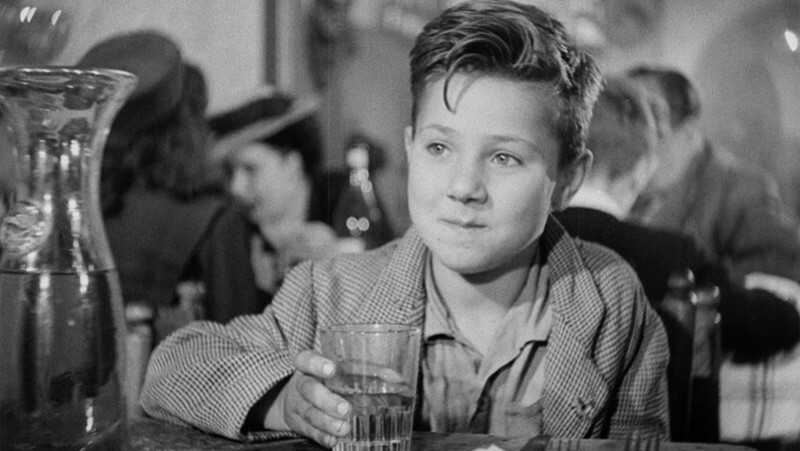 Decaë shot a radically different but also enchanting walk in Purple Noon (1960), René Clément’s adaptation of Patricia Highsmith’s novel The Talented Mr. Ripley. The aimless stroll that Tom Ripley (Alain Delon) takes through a Neapolitan fish market serves no plot purpose at all, but this interlude in a story of murder and identity theft is more than a flourish of local color. It offers a curiously revealing glimpse of the ambiguous Ripley, distilling the mixture of ravishing beauty and clammy cold-bloodedness that defines the character and the film. 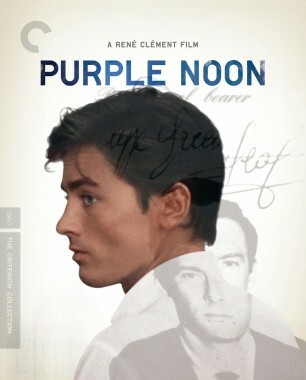 While the silvery, richly graduated chiaroscuro of Elevator to the Gallows extended traditions of black-and-white noir cinematography by using the capabilities of more sensitive film stock, the voluptuous, color-saturated frescoes of Purple Noon recall the quintessential noir in color, Leave Her to Heaven (1945), shot by Technicolor specialist Leon Shamroy. It is another lusciously pretty, nearly shadowless film about a beautiful killer, which provokes a disquieting mix of aesthetic rapture and moral revulsion. The location-shot Purple Noon invites us to wallow in Italy’s drenching sun, lapis lazuli seas, and villas the color of limoncello, only to unnerve us with casual cruelty and waterlogged corpses. Accompanied by loud, tinny player-piano music (a departure from the rest of Nino Rota’s romantic score), the sequence in the Naples street market opens with a shot across a row of fish heads under a tattered, sun-soaked red umbrella. Decaë’s camera jostles through the crowds of hustling vendors and women in summer dresses, cutting to painterly, Dutch-master compositions of silver-plated fish, coral-pink octopus, and heaps of black mussels. In a staccato series of shots, the screen fills with the white, eerily smiling faces of rays, like Halloween ghosts or creepy clowns. Spontaneous, kinetic immediacy merges with a calculating, weighted symbolism. In a perfectly crisp, snow-white shirt that sets off his honeyed tan, Delon is almost unbearably beautiful. This is a change from the book. Highsmith’s Ripley takes advantage of his nondescript, unmemorable appearance, but who could forget or ignore Delon’s sea-blue eyes, silky brown hair, and exquisitely delicate features? As he saunters through the market, linen jacket slung over his shoulder, the camera is right in his face, and he seems to bask, catlike, in its smitten gaze. But what it shows us is not a vain movie star—it is Tom Ripley opening like a flower in the warmth of his own self-regard and his realization of life’s possibilities. He is alert to everything around him, bestowing an innocent, engaging smile and wink on a fishmonger who offers him some delicacy to sample. The film cuts from his glowing face to a staring, severed fish head on the ground, making a perhaps obvious but important point about Ripley’s inhumanity. Not long after this, Tom kills a meddling visitor who threatens to expose him, clobbering the larger man with a ceramic Buddha. (In the book it is a glass ashtray, but the celadon sculpture is an improvement, since Ripley’s dandyish aestheticism is a key to his character.) The victim is carrying a bag of groceries that spill across the floor: a whole plucked chicken and a cornucopia of tomatoes, squash, and peppers. Shaken after the deed, Tom goes to the window and looks out; far below, in the shady street, little girls are playing in a blinding corridor of sunlight. He looks back into the room: the dead man is lying on his back, one hand on his chest, his figure mocked by the naked chicken splayed on the floor. There is no blood, only the bright red drops of the scattered tomatoes. The composition is a nature morte, grotesque and beautiful and morbidly funny all at once. It has a deadly kind of elegance, just like Ripley. 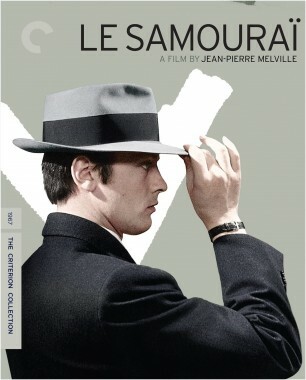 In Le samouraï (1967) and Le cercle rouge (1970), Decaë helped Melville achieve his dream of creating a black-and-white film in color, using a cool, muted palette of grays, gray-blues, beiges, blacks, and whites, punctuated with jolts of red that look not warm but violent. The hues are so carefully arranged that it is impossible to forget you are looking at a world created, down to the last detail, by an artist. In some scenes from Le samouraï the colors are so bloodless they seem to have been drained by a vampire; they match Alain Delon’s chillingly soulless performance as a professional hit man. The meticulous, robotic Jef Costello could hardly be more different from the opportunistic charmer Ripley. Here Delon’s pale skin looks icy to the touch, and his irresistible smile is never glimpsed. In this methodical, process-driven film there are long scenes of Jef walking—through scuffed concrete tunnels and pale hallways, down concrete steps and across iron-railed bridges—but never aimlessly. His life is as purposeful as it is empty. The long, mostly wordless opening episode in which Jef steals a car, gets a gun, sets up an elaborate alibi, commits a murder, and covers his tracks shows the painstaking methods by which he not only protects but dissociates himself from his crimes. 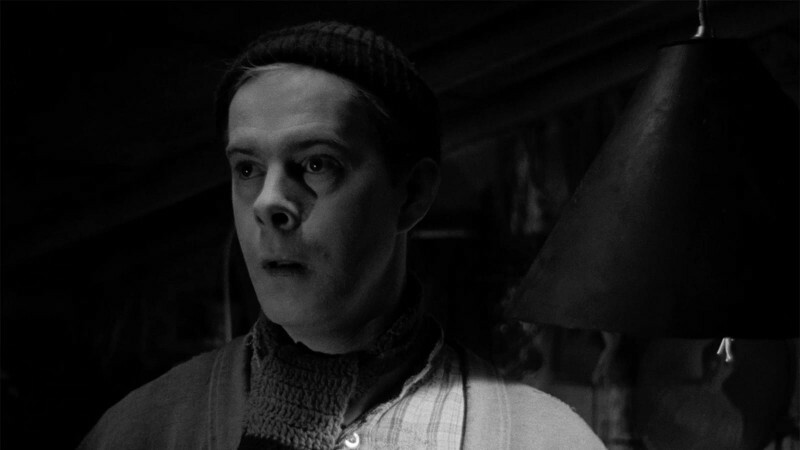 His expression throughout the film is virtually unchanging, numb and remote, like someone deep in shock. Following him through his rituals, Decaë’s camera seems more hypnotized than infatuated this time. There is none of the exhilarating mobility or sensuous intimacy of Purple Noon’s camerawork: here the cinematography is as quiet, stately, and solemn as a funeral procession. Early on, Jef steps out into the rain, which speckles the brim of his hat and the collar of his trench coat. His eyes, scanning the street, are the color of water. He gets into a stranger’s car and pulls out a large ring of keys, but doesn’t look at them as he tries them one by one. His face seen through the wet windshield is blurred, and you sense that there is a pane of glass between him and the world always. He drives off and pulls up at a stoplight, where a woman in the next car—a pouty fashion-model type—cranes her head to look at him. His face, cigarette dangling from his mouth, is almost totally obscured by the squiggling patterns of rain etched on the window, a ghostly imprint like a visual whisper. This moment, one of the only scenes in the entire film not directly connected to Jef’s cat-and-mouse games with cops and gangsters, serves to show how cut off he is from any broader world of spontaneity or connection. Jef’s primary activity is evasion: switching cars and trains, going in and out of buildings to lose the police, walking briskly with his hands deep in the pockets of his raincoat, his head slightly down, never looking around. In a nighttime scene bathed in deep blue-gray, the loneliest color, flecked with a few lights like distant stars, Jef stops on a bridge over the Seine to toss away his gun and the white gloves he dons before each killing, more for theatrical or psychological purposes than to guard against fingerprints. Should crime be so stylish? Should death be so beautiful? These questions are always lurking around film noir, especially around movies like these three, in which Decaë’s masterful artistry casts such visually seductive spells. Noir’s great cinematographers and charismatic stars demonstrate how easily moral compasses can be deranged by the magnetism of beauty, so that we root for lovely killers and mourn their inevitable punishment. They’re only movies, of course—but these particular films recognize and draw attention to the insidious power of style. 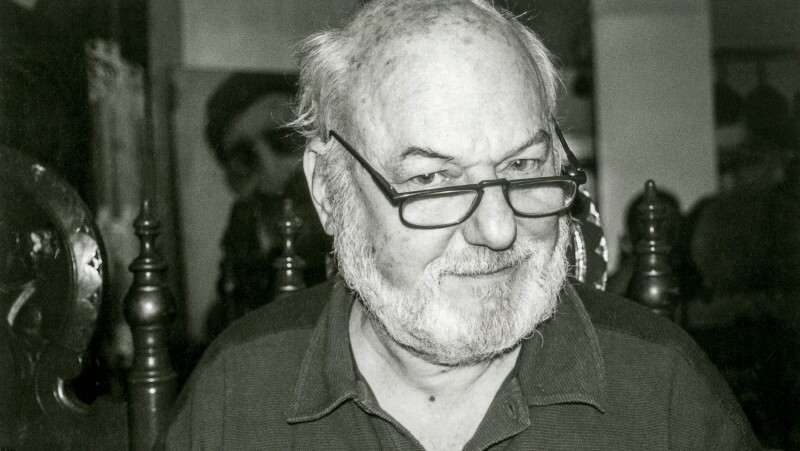 The “dehumanized” world that Malle said he wanted to capture in Elevator to the Gallows is one in which teenagers are enraptured by a snazzy new sports car and miniature camera, and feel no guilt at murdering two strangers. Tom Ripley delights in wearing the monogrammed shirts and rings and elegant shoes of the man he stabbed and dumped in the sea. Jef Costello pauses to adjust the brim of his immaculate gray fedora before setting out to gun a man down. Taking refuge in beautiful surfaces becomes a means of denying the reality of other people’s pain, the reality of physical terror and human pity. But in the end, despite all the gorgeous compositions, this reality remains, developing in the mind like a photograph in the darkroom, like an unstoppable stain.